“The power lies within to give birth and to heal. You are the expert of your experience.” -J.S. Jennifer Summerfeldt, Master of Arts in Counselling Psychology (MACP), has nearly two decades of experience in maternal health and psychology. 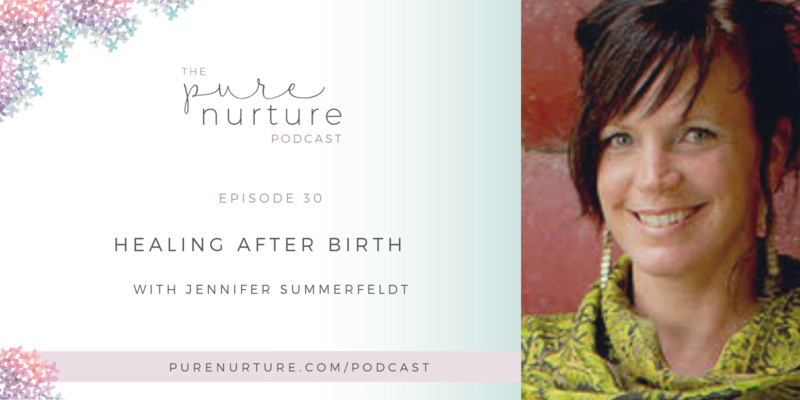 In addition to being a counselor, Jennifer has also been a childbirth advocate, maternal educator, doula, midwifery apprentice, and published writer. She is the founder and creator of the Healing After Birth program, where she uses her expertise and voice to help advance the dialogue on motherhood, mental health, and healing. Next week on the Pure Nurture Podcast: Let’s face it. Birth can be as challenging or as uplifting as you make it. My next guest, Stephanie Greunke, is from the Whole Mamas Club. She helps you connect what you’re eating to the impact it has on your mental health. Food affects everything. Tune in!